Amid reports of hijackings and narrow escapes by merchant vessels in the Gulf of Guinea, West African piracy has begun to capture international attention. Meanwhile, NATO’s Operation Ocean Shield and the EU’s Atalanta maintain presence with other international partners in the Gulf of Aden, securing a crucial trade route against the threat of Somali piracy. However, the waterways of Southeast Asia are now almost entirely absent from the Western media narrative regarding the threat posed by piracy to international trade. This comes as some surprise, since piracy in this part of the world is very much on the rise. According to the International Maritime Bureau (IMB), 57 attacks were reported in Southeast Asia during the first six months of 2013. Of the 297 pirate attacks that took place in 2012, 81 were perpetrated in Indonesia’s coastal waters alone, surpassing the 75 attacks that occurred in the Gulf of Aden the same year. This resurgence of Southeast Asian piracy is placing significant stress upon the shipping industry, generating new expenses and placing human lives at risk. It is little wonder that this region has become the latest hot spot for pirate activity. It is estimated that approximately one-third of global crude oil and over half of global liquefied natural gas pass through the Strait of Malacca and the South China Sea each year. In fact, roughly one-third of global trade passes through the Strait of Malacca, making it one of the most vital waterways to the world economy. Yet despite its strategic significance, there have been only limited efforts to secure the flow of goods and fuel through the Strait. 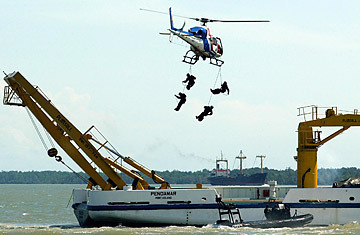 In 2004, an informal arrangement was established between the naval forces of Indonesia, Malaysia, Thailand, and Singapore to cooperate on counter-piracy operations. In 2006, when Indonesian authorities expressed concern that they lacked the capabilities necessary to patrol Indonesia’s own territorial waters, the Indian Navy and Indian Coast Guard agreed to contribute vessels and crews to counter-piracy efforts on a limited basis. For some years, this multinational arrangement saw success in reducing both the frequency and intensity of regional piracy, particularly in the Strait of Malacca. Unfortunately, these successes, rather than motivating further security cooperation, seem to have contributed to a certain degree of complacency. In April 2011, the Chief of the Malaysian Defence Forces was quoted claiming that the multinational collaboration had brought a complete end to piracy in the Strait. This does not mesh with the aforementioned increase in attacks over recent years. 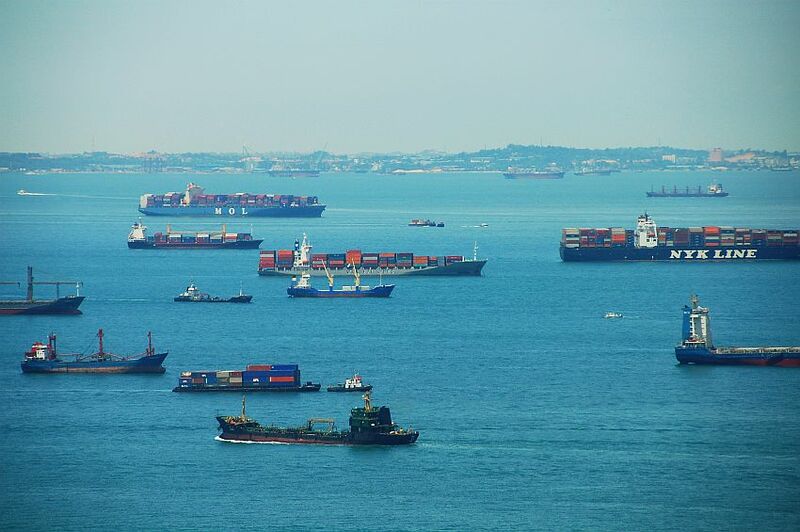 The Singaporean anchorages, plump with potential piracy victims. The current situation presents both a powerful motive and an opportunity for pirates to prey on shipping in the Strait of Malacca – the value and volume of shipping is considerable, and the lack of a formal counter-piracy framework in the region leaves patrolling disjointed. In place of the current multinational collaboration, an intensive counter-piracy program on the part of the Association of Southeast Asian Nations (ASEAN) might better discourage pirate activity. ASEAN, whose membership comprises ten countries, has embarked on an effort to establish a functioning political-security community by 2015. The lack of an effective ASEAN response to a conflict in the Malaysian region of Sabah during the early months of 2013 has cast some doubts as to whether the necessary level of security integration can be achieved by the 2015 deadline. But regardless of whether the ASEAN member states can fully realize their integrationist ambitions, the attendant reform process may present the perfect setting in which to adopt a shared counter-piracy strategy, exchange best practices, and commit to a plan that will see the Strait of Malacca consistently and effectively patrolled by the naval forces of ASEAN member states. Southeast Asian governments have been striving to position their region as a major economic hub, and the success of these efforts will depend in large part on whether international audiences see ASEAN integration as credible. 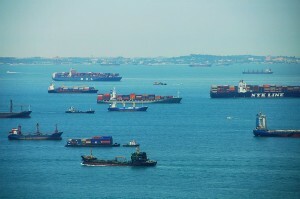 Piracy in the Strait of Malacca is precisely the kind of challenge ASEAN can address through collective action, demonstrating that needed credibility. Continued complacency, on the other hand, will only contribute to a deepening crisis, undermining ASEAN once again and harming prospects for regional economic growth by fueling organized crime. With an ASEAN Summit set to take place in Brunei Darussalam this October, it is imperative that piracy make it onto the agenda. Paul Pryce is a Junior Research Fellow at the Atlantic Council of Canada. With degrees in political science from universities on both sides of the pond, he has previously worked in conflict resolution as a Research Fellow with the OSCE Parliamentary Assembly and as an infantryman in the Canadian Forces. His current research interests include African security issues and NATO-Russia relations. Good piece. Yet, interesting that it seems to be at odds with Miha’s article here: http://cimsec.org/recaaping-japans-counter-piracy-multilateralism/ that states the declining trend in Asian piracy continued through the first half of this year. Also, he highlights what he considers a successful example of multilateral effort that helped with the decline. Anything useful to be learned from it? Is the divergence in number claims just a matter of methodology? First of all, Paul, thank you for an interesting read! Back when researching for a longer paper on piracy earlier this year, the discrepancy in the statistics published by various sources (most notably between the IMB and ReCAAP) was difficult to comprehend. In a nutshell, not all incidents are reported (and registered) by different authorities. The ReCAAP Information Sharing Center in Singapore publishes higher numbers as it generally receives more reports, and supplements them with data available from other sources. 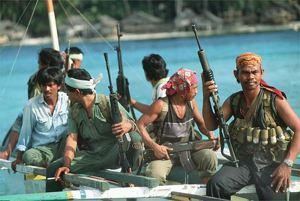 For Southeast Asia, the IMB recorded 101 attacks in 2011, while ReCAAP noted 128. For 2012, both data-sets almost matched (IMB: 110, ReCAAP: 111), but when calculating year-on-year changes based on these numbers, ReCAAP would obviously note a sizeable decrease in attacks, while the IMB would record an increase. So methodology certainly plays a large role here. Since in my humble opinion ReCAAP provides a more comprehensive overview of the PAR situation in Asia, my conclusion was (and remains) that incidents are on the decrease. This is further accompanied by a decrease in their severity — keep in mind that a nice chunk of the incidents counted in the final tally consist of petty thefts in ports and anchorages, and actual attacks against large ships underway are still fairly rare. Having said that, the overall number of incidents remains quite high and the shift toward Indonesia is a concern, in particular as there is little indication of any effective response being mounted to counter this shift. Even so, I would tend to disagree with your argument and instead claim that the shift toward Indonesia is at least in part due to effective multilateral efforts (the 19-member ReCAAP information sharing agreement, ‘Eyes in the Sky’, the Malacca Strait Patrols, etc. ), which have made it difficult for pirates and robbers to operate in their traditional hunting grounds (Strait of Malacca, most of all). I do, however, agree that a concerted ASEAN approach to this would be incredibly welcome (all ASEAN states, for example, drafted the ReCAAP agreement, but not all of them ultimately joined).